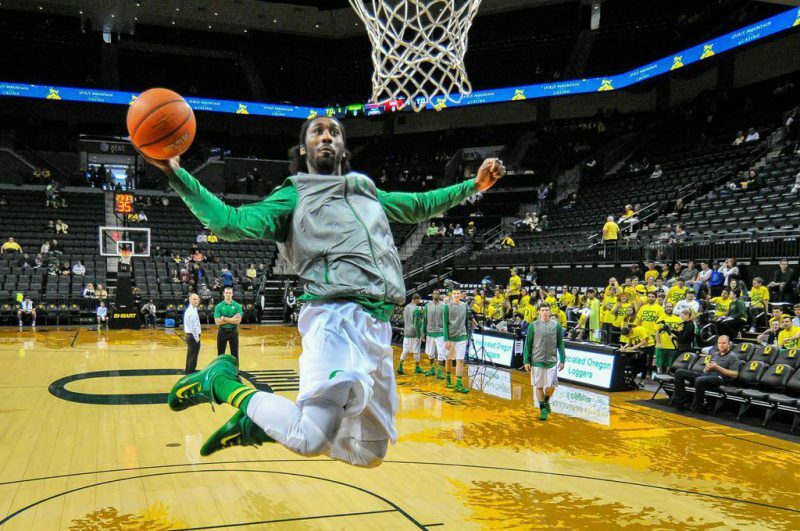 The junior transferred to the UO from Mt. San Jacinto College in Louisiana last year and has been making an impact on the Ducks. While at Mt. San Jacinto, Benjamin was averaging about 21 points and eight rebounds. Despite the fact that he’s coming off the bench, Benjamin has been putting up astonishing numbers to say the least. Currently, he’s ranked fourth on the team in scoring with 7.5 points per game and third in three pointers. 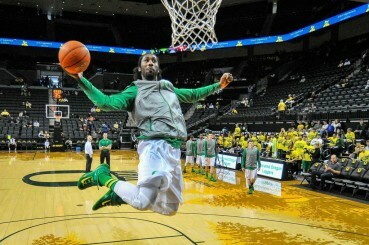 Dwayne Benjamin takes flight during warm-ups against the Utes. According to his fellow teammates, Benjamin has been utilizing this season as a growth period where he can build on the fundamentals he learned in Louisiana. What makes Benjamin so unique and gifted is how versatile of a player he is. On the court, he’s considered a key part of the basketball program’s success so far this year. He comes off the bench to provide a spark for his teammates during tough stretches in games. For instance, when Oregon faced the WSU Cougars at Matthew Knight Arena on February 8th, Benjamin exemplified this “spark” by going 10-11 from the field and ultimately finishing the game with 25 points. His performance that night led to a pivotal win for the Ducks, 95-72. The Ducks last three games were the most memorable moments for Benjamin as he was able to put up solid numbers on the board. At California, Stanford, and Oregon State, Benjamin pitched in with around 15 points per game and essentially assisted the Ducks in securing a spot in the NCAA tournament. After beating the ninth-seeded Cowboys of Oklahoma State on Friday, Oregon will face up against Wisconsin, who is currently ranked as No.1 in offensive power. There have been numerous previews that were published regarding Sunday’s match-up between these two dynamic teams. Most of them have swirled around guard Joseph Young having a big game. Although this seems to be a common case for Oregon’s success this season, a true key to winning this game is for Benjamin to establish himself as a presence down low. This includes playing lock-down defense on Wisconsin’s twin towers of seven-foot Frank Kaminsky or six-foot-nine Sam Dekker. 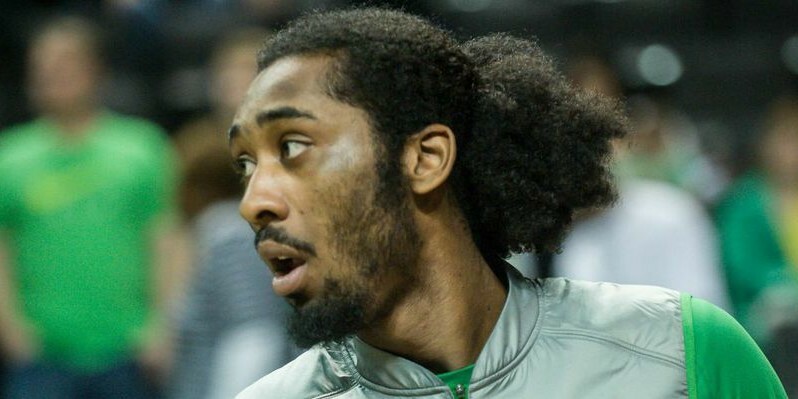 Oregon certainly has their hands full and will need the services of Benjamin to provide the extra boost.